You can have an amazing website that’s beautiful and responsive. You can create inspiring blog posts and you can launch products that are game-changers. But none of that matters if you aren’t getting traffic. Without traffic, it doesn’t matter that your website is beautiful and responsive. Without traffic, it doesn’t matter that your blog posts are inspirational and speak directly to your audience. Without traffic, it doesn’t matter that your products are game-changers. The simple fact is you need traffic and you need a lot of it if you hope to succeed with your online business. 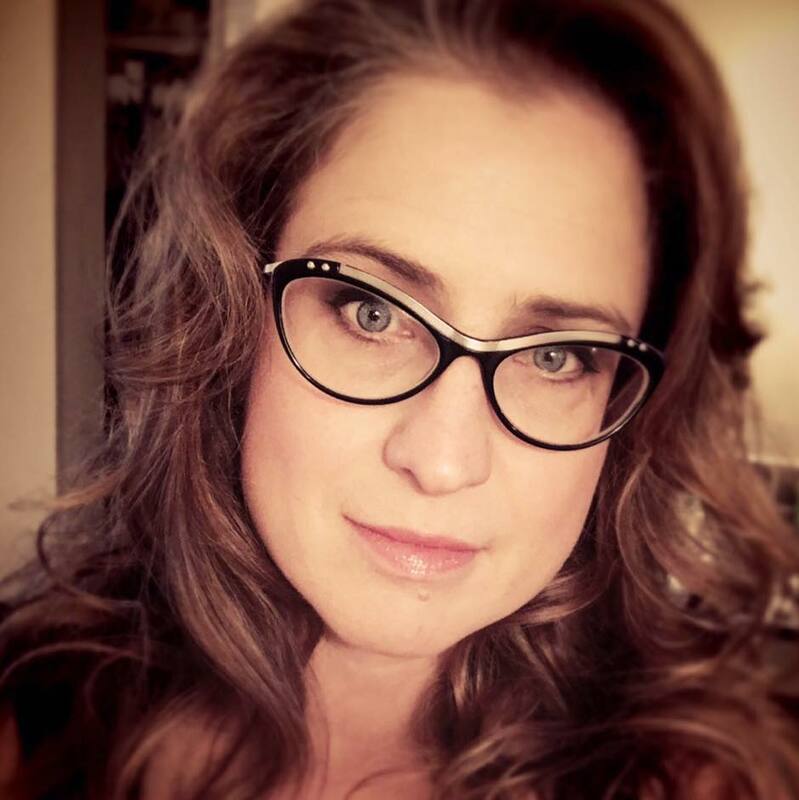 There are hundreds of gurus and marketers who will sell you a complex system that will show you how to get all of the traffic you’ve ever wanted. 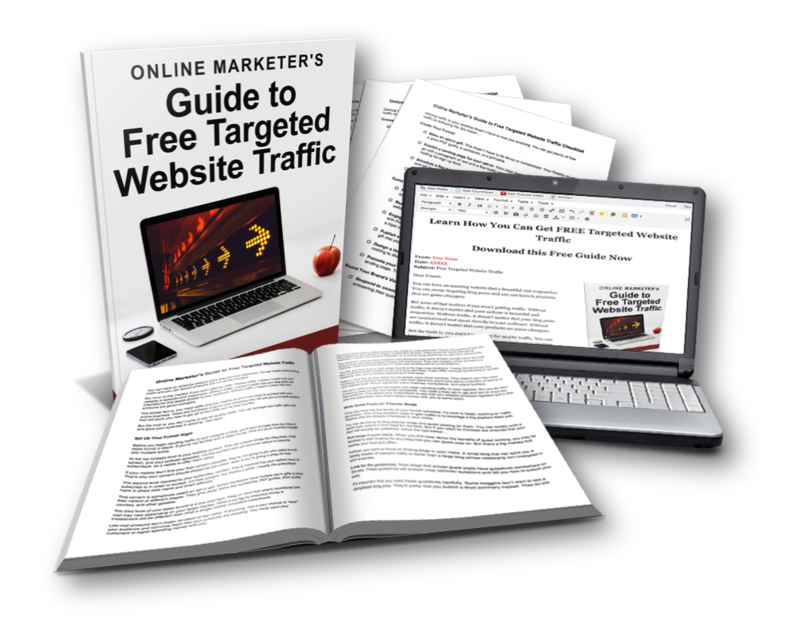 This brand new lead magnet bundle with PLR rights will teach your readers how they can get free targeted website traffic to grow their business and more. …and more. 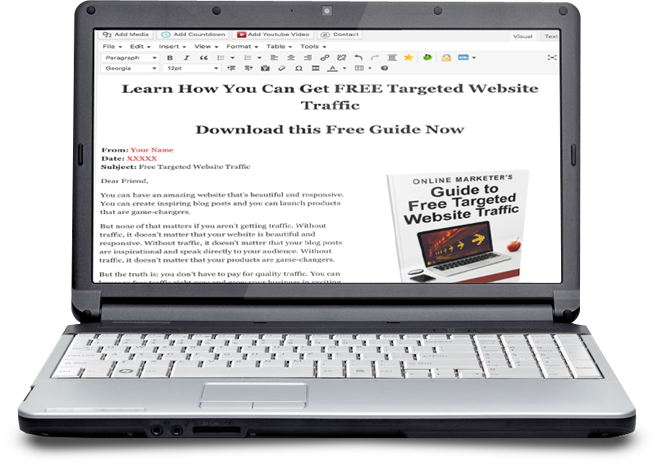 Give your readers the information they need to get start generating targeted traffic to their websites. 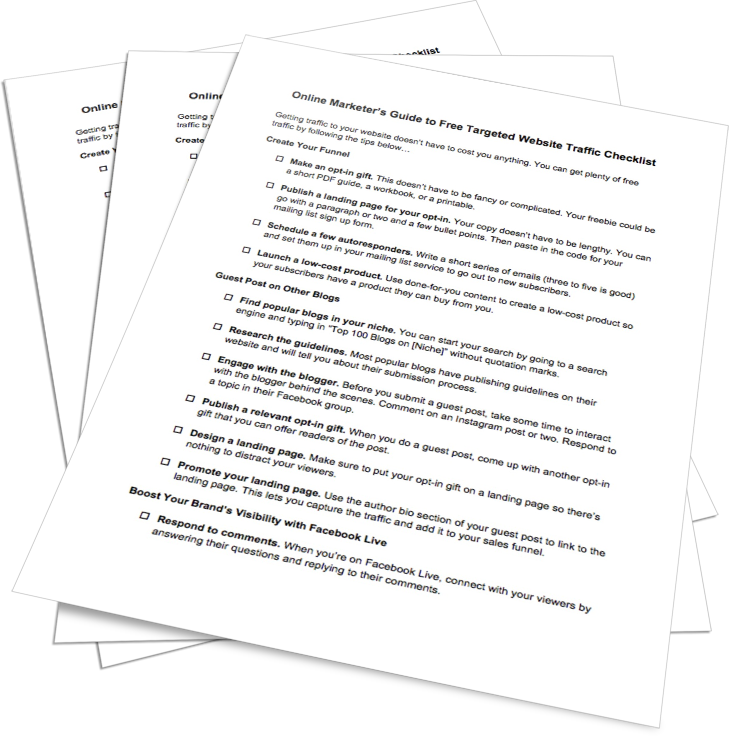 You also get a detailed checklist (3 pages /1052 words) to help your readers build traffic to increase sales. To help you grow your list with this bundle, we’ve included the opt-in copy…and even created the WordPress-ready code for you. We even host the images for you! Just fill in the blanks with your own information, autoresponder opt-in code and you’re ready to roll. At only $27 ($800 value) for your PLR license, so you can save endless hours of time and plenty of money to provide your readers with the information they're looking for.